The day’s over only when I say so! The jazz performed by street musicians seemed a beautiful end to a lovely day. 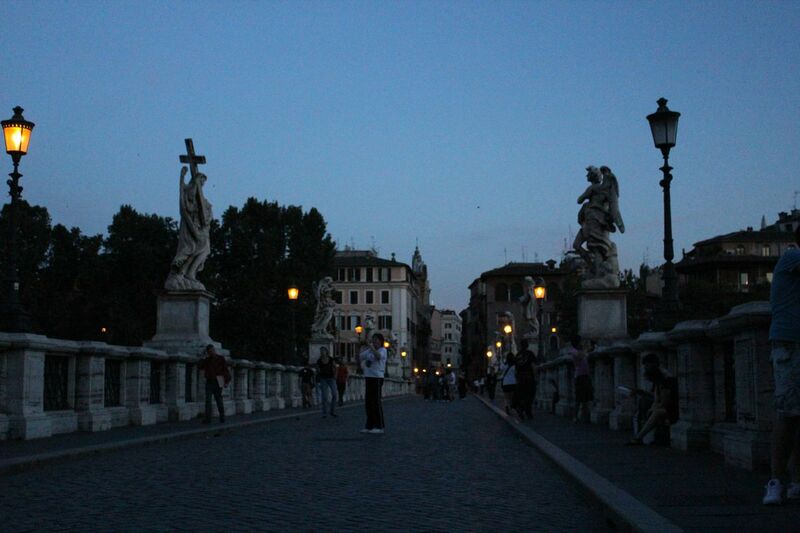 But the weather got better at sundown and we felt like taking in some more of Rome. 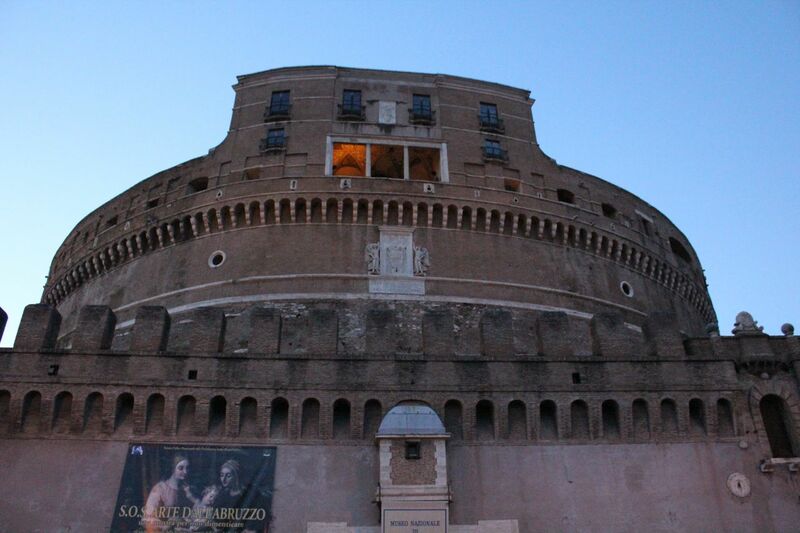 Walking in the general direction of home, we came upon the Castel Sant Angelo. 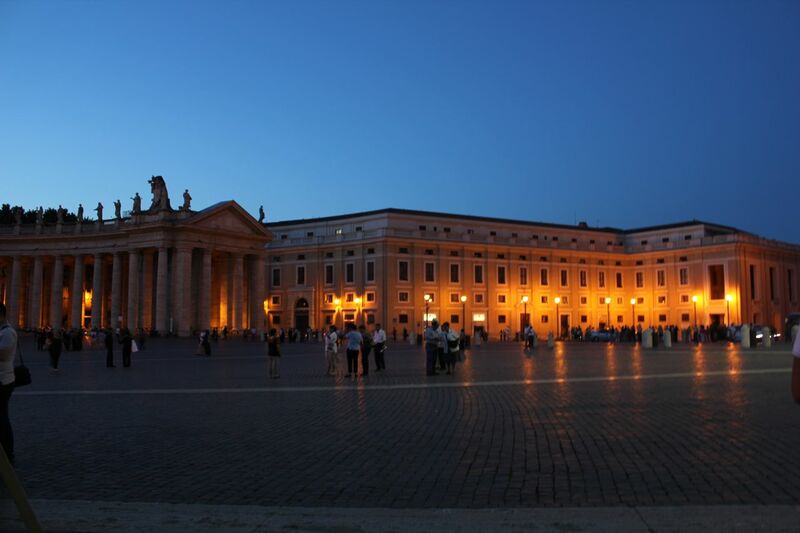 In a true serendipity moment, we saw that one road from the castel led straight to Piazza San Pietro – the Via dei Conciliazione built by Mussolini. 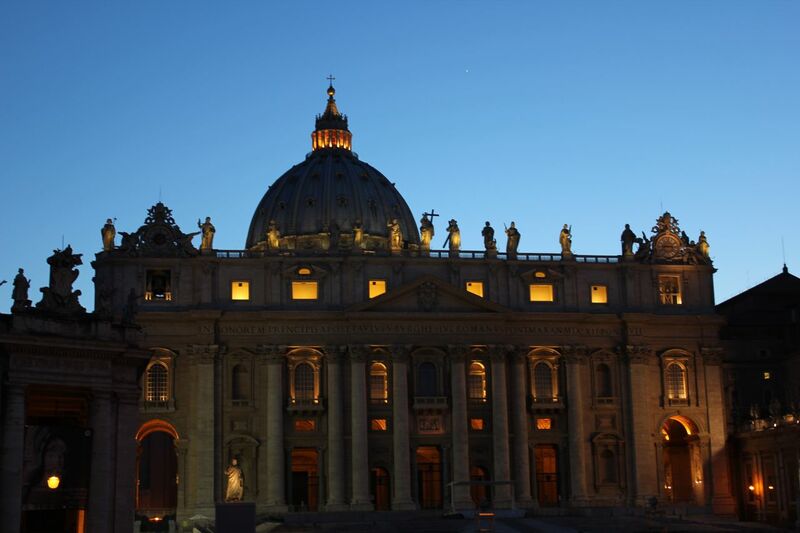 St. Peter’s Basilica looked much more benign at night, with its soft lighting, but I have no doubt that with the flick of a switch or two it can turn into a formidable entity by night too. 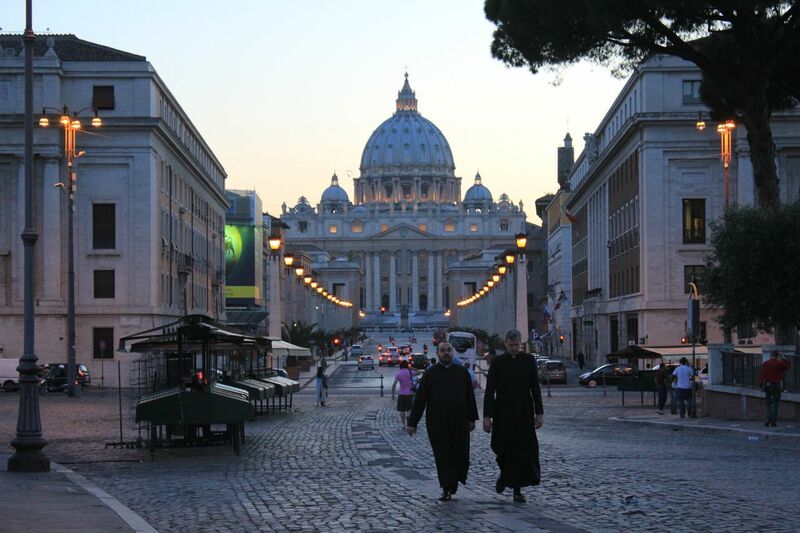 Caught the train at San Pietro like a couple of pros, then couldn’t open the doors at our station, being the novices that we actually are! Had to get off the next stop and find our way back by bus, and now we know this area like the back of our hand.